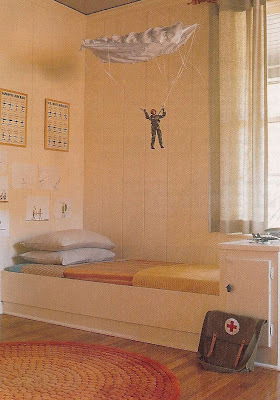 When the little man of the house finally moves into a "Big Boy Bed", I want his room to look something like this. Okay so it probably won't look like it at all, but if it looks inspired by this picture, I'll be happy. I can't stop thinking about how much I love it! I can see why you love it, I do too. So simple yet imaginate.